I will be hosting a night of jazz from Dig In Trio at the Fulton Stall Market. I will also be singing a song or two in between their sets. 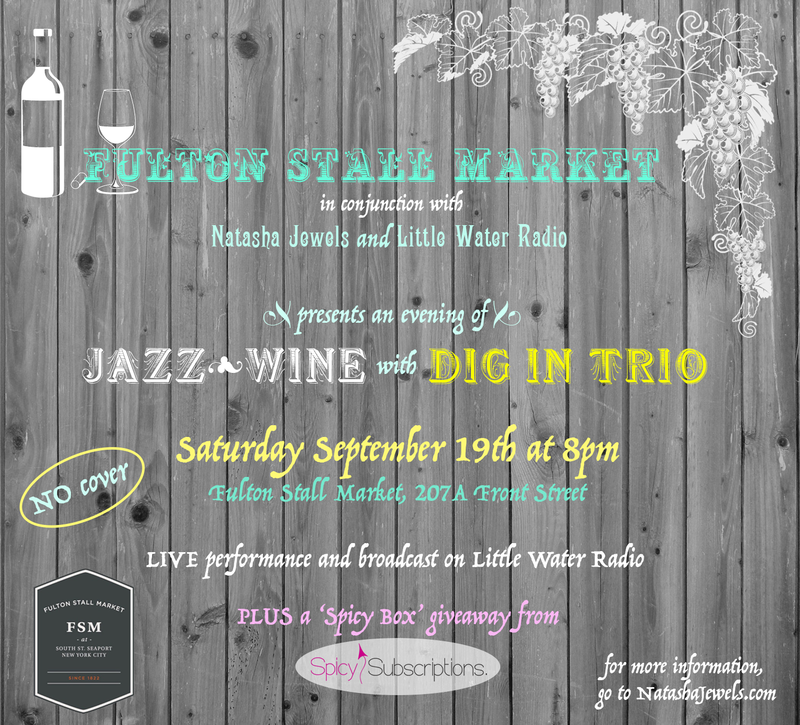 Enjoy great music and great wine at the Fulton Stall Market this Saturday beginning at 8pm. We will also be having a fantastic giveaway from adult toy service SPICY SUBSCRIPTIONS!